To make way for the Ohio University Outreach Campus, Aimee Weber Studio created this gorgeous rendition of Ohio's Stocker building and extension. 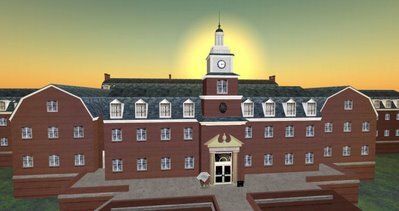 The build itself covers about half of a sim and features classrooms, science labs, lounges, balconies, and many other useful spaces. 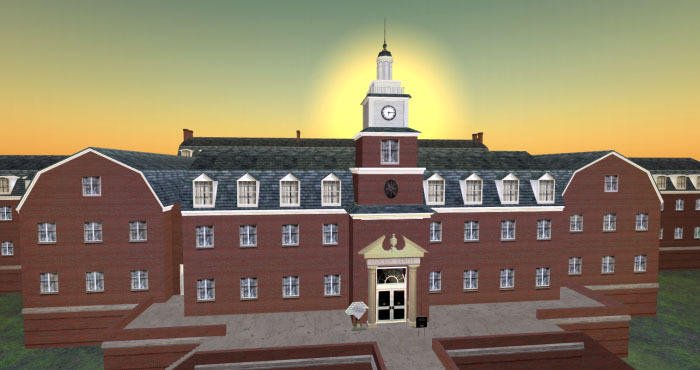 Our version of the Stocker Building was meticulous modeled after floor plans and photos of the real life building with slight modifications to ensure the space was comfortable in virtual form. The building is now home to a number of educational games, conferences, and projects as students and faculty make ongoing use of the space.